It appears the tuxedo stripes are back on the White Sox road pants. 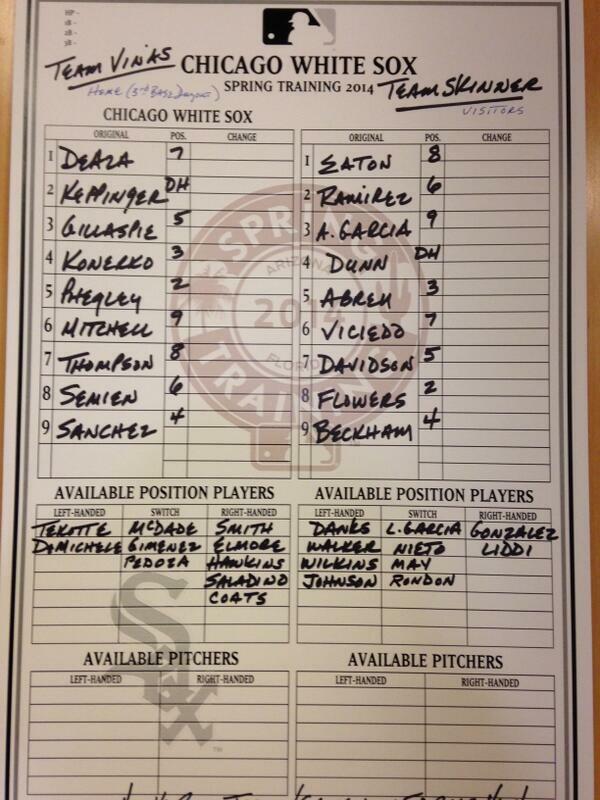 Jose Abreu batting for the first time against Chris Beck. Took two strikes and then beat out an infield chopper to third. Chris Beck, who you can read about here http://bit.ly/1jx6dfW , got 5 groundballs in 6 batters. Doesn't look like it to me, I only see a black stripe. But it's hard to be 100% certain from that shot. Beck is going to have a ridiculous groundout to flyout ratio this year. We might see him again in September.